In a landslide victory, Presidential Candidate of Maldivian Democratic Party (MDP) Ibrahim Mohamed Solih wins the Presidential Election 2018. 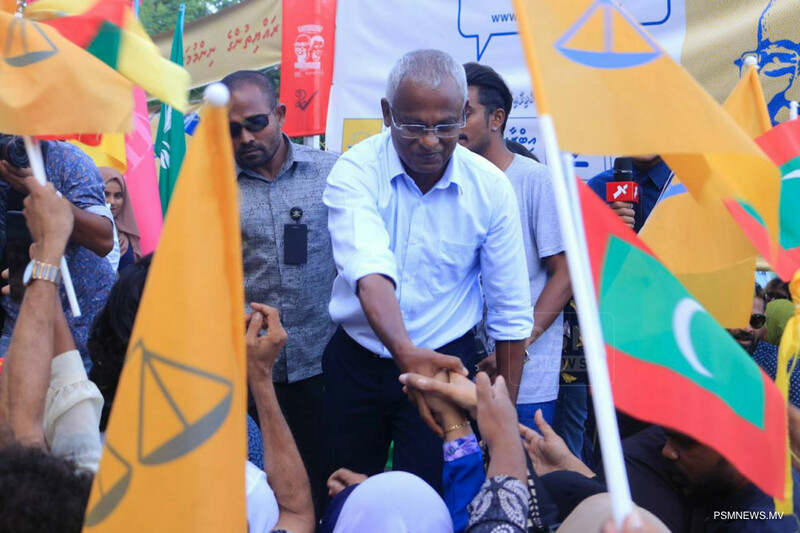 Representing a coalition of all major opposition political parties, Parliamentarian Ibrahim Mohamed Solih won an overwhelming majority with 134,616 votes. Ibrahim Mohamed Solih won the presidential election with a lead of 38,484 votes over the incumbent president, and Presidential Candidate of Progressive Party of Maldives (PPM) Abdulla Yameen Abdul Gayoom, who won 96,132 votes, according to interim results announced by the Elections Commission of Maldives. Of 262,135 eligible voters, 233,877 voters cast their votes at the 472 ballot boxes placed in the Maldives and in four countries abroad. The Elections Commission placed the voter turnout at 89.22 percent and revealed the official results will be announced within the next seven days, before September 30. Ibrahim Mohamed Solih's running mate on the winning ticket, is Parliamentarian Faisal Naseem. Ibrahim Mohamed Solih, who is a veteran parliamentarian, has been a pivotal figure in MDP since its formation. A staunch loyalist of former President Mohamed Nasheed, his manifesto mirrors the major policies of the Nasheed administration. This was the third presidential election held in the Maldives, following the adoption of the 2008 Constitution, which paved the way for multi-party democracy in the Maldives.